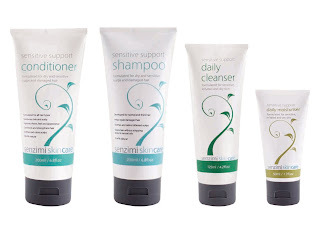 I am really enjoying my journey of discovery of sensitive skin care products - I had no idea that there was so much choice available when I first developed sensitive skin this time last year. I've recently been trying out Senzimi products. Senzimi have lots of great information on their website about the causes of sensitive skin and the things you should look out for on ingredients labels if you are a sufferer. Their products are paraben free, sulfate free and mineral-oil free (which is one of the things that causes my skin irritation). 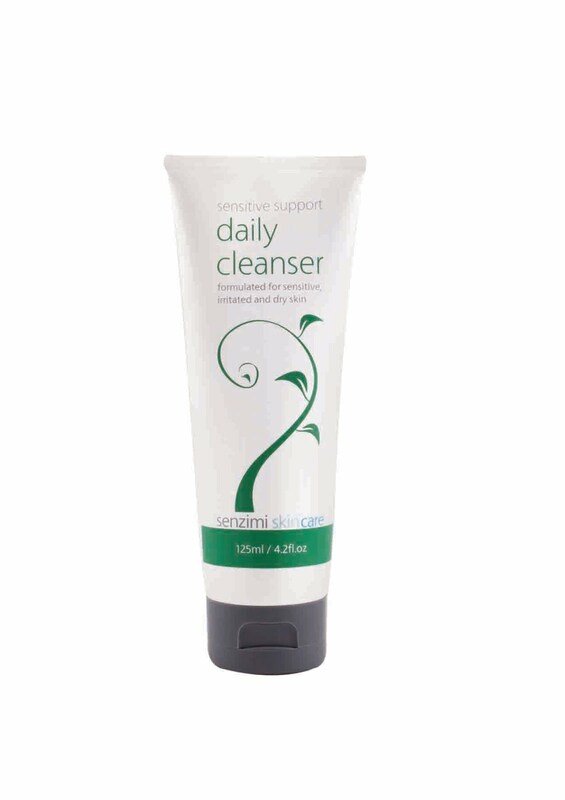 The Daily Cleanser is a wash-off cleanser which means it leaves you skin feeling really squeaky clean. 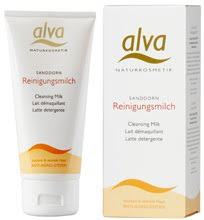 Because it is free from synthetic fragrances, I found that it lacked that bit of zing that I look for in a wash -off cleanser to help me wake up in the morning. I didn't feel any greasiness after using it but then again, my skin didn't feel amazing and I know that there are wash-off cleansers out there that can really make your face feel taught, bright and ready for the day. The Daily Moisturiser is very easily absorbed (despite looking a little oily on my fingertips). It is designed to help soothe irritated skin and reduce the effects of UV damage so it is a great long-term moisturiser. I didn't notice any dramatic differences to the way my skin felt after using it but I certainly didn't feel any ill effects, any irritation or redness. I actually have grown to really like this as a daily moisturiser for wearing from the start of my day all through my working day as its light and doesn't sit heavily on my skin. The fragrance is a little over-powering though. 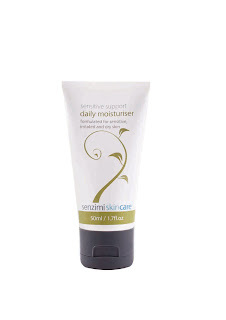 The Daily Moisturiser boasts some wonderful ingredients such as the miracle-working argan oil, rose hip oil, oat extract, cucumber extract, aloe vera and olive-oil derivatives. All lovely ingredients that I shall leave to do their work on me! Senzimi products are available to buy on their website www.senzimi-skincare.com. We have reached another momentous parenting milestone. Lara has quit the cot! I know, it seems really early. Lara is just 16 months but it had to be done. Ever since the devilish incident last month Lara has been a total monster in her cot. She hasn't learned to climb out of it but, when she wakes (or when you put her to sleep in it and she doesn't want to go) she screams, rattles the bars REALLY violently and sometimes even bangs her head repeatedly against the bars. In the mornings it was worse. If we didn't get up to tend to her immediately after waking, she would get REALLY angry. We decided that the best way to go was to give LAra her independence. Last weekend we expended a little effort making sure that her room was safe for her to run riot in. We invested in a radiator cover, a new door handle that actually works, and some socket covers. We moved all of her board books into her room and several of her toys and teddies so that she would have something to entertain her when she woke. On Sunday we turned the cotbed from cot to bed and placed a folded up duvet on the floor next to the bed. Bedtime on night 1 was extremely stressful. Lara would normally settle herself to sleep in the cot eventually but in the bed there were just too many exciting things to distract her. She screamed and screamed each time we tried to lie her down and every time we thought we'd cracked it, we'd tiptoe to the door but the second it shut, she'd rush out of bed and open the door. Eventually she worked herself up into a frenzy so great that the effort obviously wore her out. Eventually, at about 10.40, after over 2 hours of trying, she fell asleep. On Night 2 we deliberately kept Lara up late to make sure she was totally exhausted when it came to bedtime and she settled almost instantly. Nights 3 and 4 required maybe 15 minutes of settling but were generally a success. Since then it has been a mixed bag. I think the thing she really struggles with is the distraction, knowing that she can just get up and play with stuff she can't resist when really she is tired and in need of rest. We have no bed guard on the cotbed. Each night she has fallen out of bed on about 2 or 3 occasions. It hasn't been the fall that has woken her, but the fact that she eventually gets cold. On almost all occasions, when one of us has woken to her screams or whimpers, we've found her pretty much asleep on the folded up duvet. I think I will try and buy a bedguard if she doesn't quickly stop rolling out of bed. I have also taken this opportunity to fit a B-Sensible cot sheet - it is supposed to help regulate temperature, to protect against bed wetting, protect against mites and bacteria and to be more suitable for Lara's sensitive skin than other mattress protectors. I'll be reviewing it shortly. In terms of solving the problems... well, I think she is still learning. She certainly seems a lot more relaxed when she wakes but after a little bit of chattering to her bears, her first action of the day is to open the door and come through to our room. Doh. I think this might have quite a lot to do with the blackout curtains in her room which are great for ensuring a sound sleep and a late wake-up time but mean that the room is too dark for her to play or read. She does have some nightlights but she's not really old enough to know how (and more importantly, when) to work them. It has also meant that I have given up all attempts to get Lara to have an afternoon sleep when we are at home - there is NO chance she would settle. I'll keep you updated on our progress. I'm reliably told it will take 2-3 weeks for her to get used to the Big Girl's Bed. 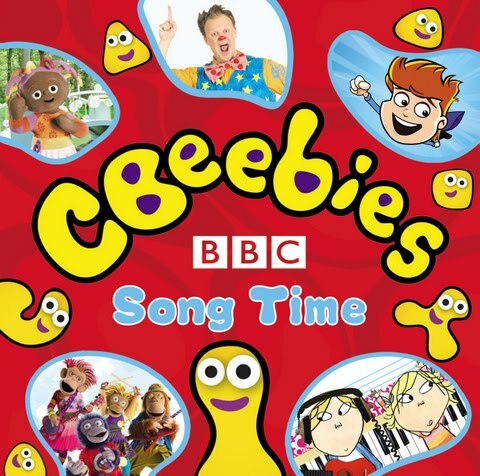 This week we aaaaaaave been mostly listening to the CBeebies Song Time album which is released tomorrow. Great fun. I really love being able to have music that I can play to Lara rather than feeling I have to switch on the TV when she gets restless with her toys. At this age, Lara has such a short attention span that anything I come up with to entertain her lasts no more than 5 minutes so I like to have a good collection of music for her different moods. The CBeebies Song time album is a couble-CD set with a whopping 50 tracks on it from all of your favourite shows. 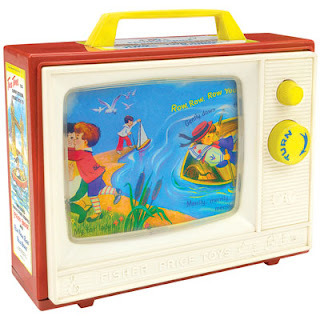 Pretty much every single CBeebies show I have ever seen has its theme tune, or most famous music on it. When we play the album, Lara's face lights up. She only knows about a third of the tunes because we don't actually spend an awful lot of time in front of the TV but she knows 'Something Special', 'Waybuloo', 'Timmy Time', 'In the Night Garden' and most of the 'Zingzillas' tracks. I think she actually finds it a bit confusing to hear these songs without seeing the pictures too. She actually relaxes and joins in with the other songs that she doesn't recognise a little more and then she has a good old bop. In true toddler style, she REFUSES to dance in front of the camera for me, but will bop away like a mad thing when the camera is turned off. AArgh, I really wanted to share her 'moooves' with you. I am about to put one of the two CDs into the car so that I can switch them on when Lara gets restless and screechy when we're out and about. I suspect it may stay there for some time and I can just picture me singing along to 'It doesn't matter if you're Big or Small' or '3rd and Bird' at full volume and getting odd looks from other motorists! Our absolute favourite track is the 'Yoko! Jakamoto! Toto!' theme which always results in us rolling around on the floor for some reason (I think its the way I sing it)! 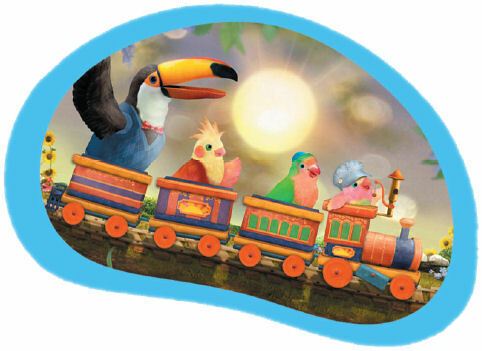 This weekend I am going to have a house full of toddlers and I reckon that the CBeebies Song Time album will be just the ticket to keep them entertained. Images courtesy of Quite Great Publicity. I normally like to have a real photo that I took myself of Lara trying out the products that we review together but in this particular case, when I gave Lara a Munch Cup full of tasty snacks, they disappeared so quickly that I never got a chance to take a photo! Doh. The Munch cup is an innovative solution to a problem that I regularly experience. I often give Lara a snack during the late afternoon. Biscuits, raisins, pieces of fruit etc. and I put them in a bowl. 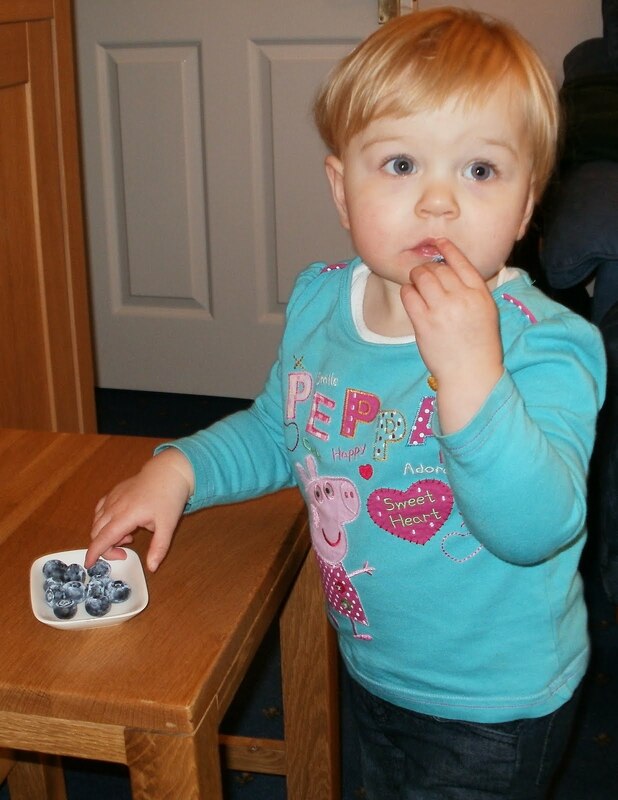 For about 2 seconds she sits nicely and eats them, perhaps watching the TV or sat at her little table. Then she stands up, tries to walk around with the bowl and the contents get distributed evenly around my living room carpet. 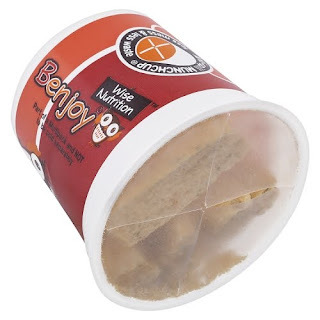 The snacks that Benjoy sell in the Munch Cup stay where they're put. 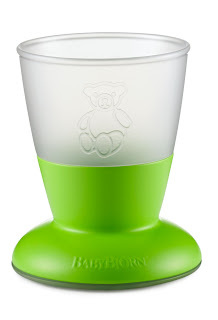 The cup has a thin lid with a cross cut into it that little hands can reach through but which prevents the contents from falling out when the cup is waved about. Less mess = happy mummy. Lara tried two different snacks, the Root Vegetable Mini Crisps (actually, I nommed most of these as they were scrumptious) and the Carrot & Tomato Multigrain bites. Lara loved them both. As a Mum who scrutinises ingredients labels thoroughly, I made sure I was happy with the 'made from 100% natural ingredients' statement on the Munch Cup. Both snacks were relatively high in sugar BUT they are all naturally occuring sugars as the products are made from real fruits and vegetables which are naturally sweet. The multigrain bites are made from Quinoa, Whole Wheat, Malted Wheat, Maize and Oat flours and just flavoured with carrot and tomato juice. They were really quite tasty but they did leave a carroty, tomatoey powdery residue everywhere that Lara went. 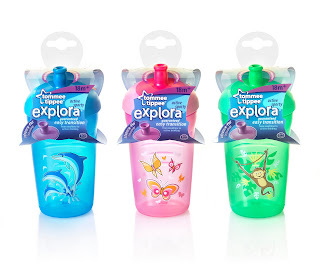 In the future, I would like to see the Munch Cup with a removable lid so that I really could re-use the Munch cup after use - it would be nice to be able to wash it and then refill it from a larger tub of snacks and then put a more permanent lid on it so that I could put it in Lara's lunchbox. This would be a great way to reduce my waste. 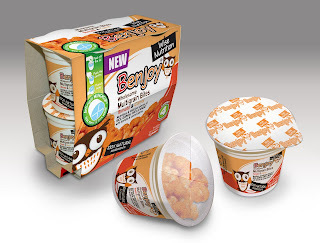 The Benjoy Munch Cup has been given my toddler lunchbox seal of approval. 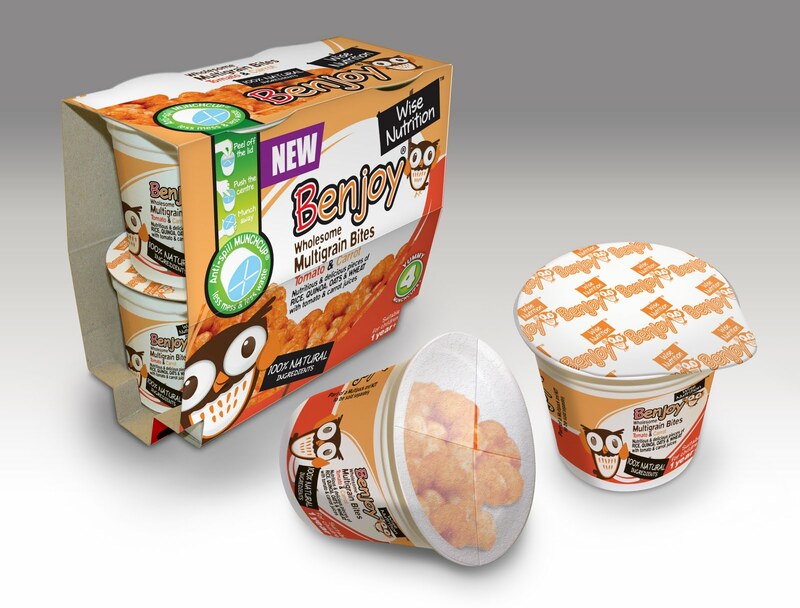 You can buy Benjoy snacks from Morrisons and Ocado. Earlier this autumn, Lara and I were asked to help out with the testing for the annual Mother & Baby awards which will be announced at a glamourous awards ceremony tonight. Along with the other ladies from my NCT group, we tested out 4 highchairs. Since then we have also tried out 3 others; and so, having had experience with lots of different styles and brands of highchair, I thought I would share with you what I have learned. The first thing I learned is that the choice of highchair is a very personal thing so the rankings I give below are my opinions only, not those of the other mums who tested with me . The Good Bits: It has a wonderful large tray and is easy to expand and collapse with a baby in your hand. It is very good value for money. The Bad Bits: There are lots of food traps and the big storage area under the seat collects lumps of food and crumbs. Your child ends up sitting a long way from the table. The large tray is hard to store. The Good Bits: A good sized tray. Your child can sit very upright in it (we found this aids eating even from a young age) but there are extra levels of recline. When folded, it hardly takes up any room. The covers were very easy to wipe clean. The Bad Bits: We didn't like the fixed-position bar between the legs as it made strapping in difficult. The straps had a slip-in part and a clip-together part which seems like a good idea but was actually difficult to use. The Good Bits: It takes up little floor space so can remain fully assembled at all times. It looks stunning and Lara loved being in it. I liked being able to spin Lara all the way around to point towards me as I finished cooking dinner. The Bad Bits: The gas lift didn't go quite high enough for a breakfast bar and the base prevented us getting the chair close to the table. 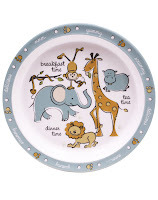 The tray was unacceptably small – we couldn't even fit Lara's plastic plates on it. 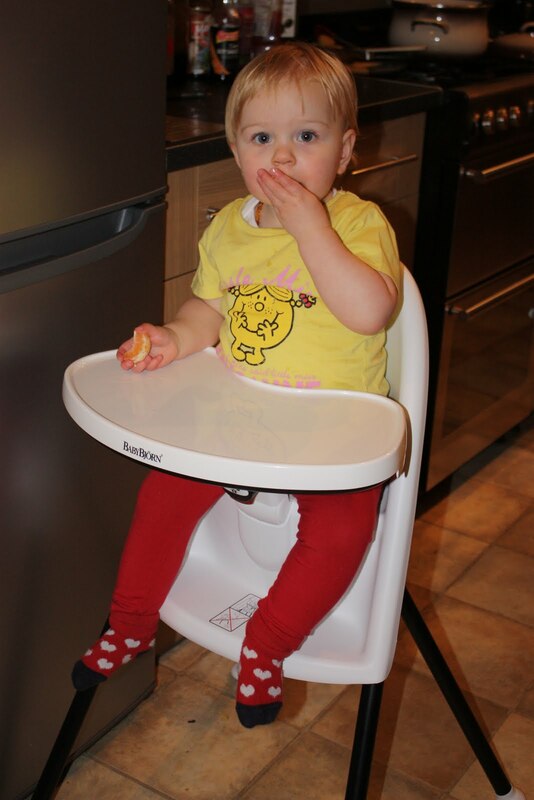 The Good Bits: The only highchair I've tried in which Lara can sit up at the breakfast bar to enjoy her meals with us. The gas lift and tilt are brilliant and I can imaging placing a very small child in it right up until they can sit unaided in a chair. The whole chair is easy to clean. 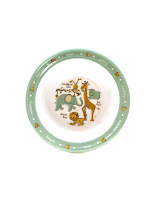 The Bad Bits: Takes up a lot of floor space and the tray, once again is simply too small – this one even struggles with bowls which is ridiculous for a product this expensive. The Good Bits: It looks great, is very sturdy and has a long lifetime to it (suitable right up to teenagers). If you use a Tripp Trapp right from the first weaning attempts, I'm sure your child would get the hang of sitting unaided soon. The Bad Bits: At 13 months Lara was too big in the legs to get into the baby attachment and the straps offered little support. I had to sit her unaided but she was too wiggly as she wasn't used to it. The cushion and seat pad stained after just one spaghetti hoop incident and weren't easy to wash. I also struggle to understand why you would want to use a highchair beyond toddler-dom? With Stokke I think it's a case of 'love it' or 'hate it', a bit like Marmite. The Good Bits: Simple. Easy to clean. Smart and no-nonsense. The seat is spacious. We reviewed it in more detail on Mellow Mummy. The Bad Bits: The fixed height and lack of tray is a problem in our kitchen breakfast bar but will be better when we own a dining table. Some of the other children who tried it were very wiggly in in and wouldn't stay still. The Good Bits: There are no annoying straps to fiddle with. The chair is extremely easy to use and is very compact when stored. 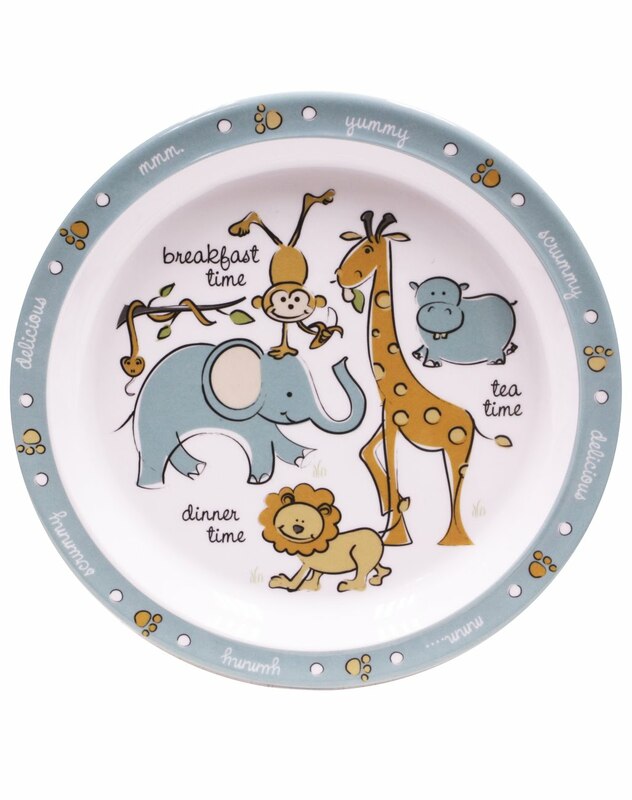 The tray is nice and flat so easy to clean and put plates of different sizes on. The Bad Bits: It is a fixed height and is very low (particularly when mummy and daddy are sitting at a breakfast bar). Lara is simply too big for it at 16 months. Her belly prevents the tray from clicking into place and when I force her into it her legs dangle bellow the footrests and she attempts to lift herself up and out which could topple it. More suited to a smaller child. I'm not good at tips for how to make a Christmas dinner less stressful to cook as I have never cooked one (we still go to Mum's for Christmas day). I'm not good at tips for how to avoid Christmas hangovers, or to entertain boring relatives during the season of goodwill. I am however pretty good at coming up with ideas for Christmas presents so, if you struggle to come up with ideas for your children, or the children of your friends or family then let me help you simplify things! I'll put my hands up and say that most of the things I will be buying Lara this Christmas are things that I did own as a child, or things I wished I had. Perhaps I'm trying to relive my childhood through Lara BUT... thinking back to your own childhood is an incredibly simple way of generating ideas for Christmas presents. I actually find this a great way of choosing presents for all children, not just my own. If you really enjoyed something at their age then there's a good chance that they will too. Of course, this does put you at risk of showing off how totally out of touch with the youth of today you are if you don't choose wisely but in my entire adult present-buying life this approach has served me well. This Christmas we have bought Lara a rocking H. O. R. S. E (I have to say it like that because otherwise she starts saying 'clip, clop' and looking around hopefully). My sister and I had a soft, cheeky non-horsey rocking horse when we were young and I can remember it providing years of entertainment. I bought Lara's from Hamleys and I'm hoping that it will be a good investment that brings many years of fun. 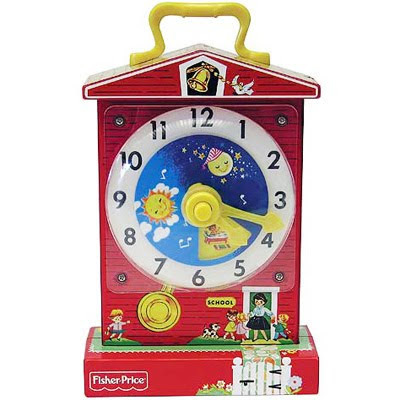 On Lara's Christmas list there are a number of other things that take me back, including this grandfather clock from Fisher Price. Now there's a blast from the past. I had been on the lookout for one of these for ages and this winter they have been relaunched as 'retro' toys and are on sale at Kiddiroo. 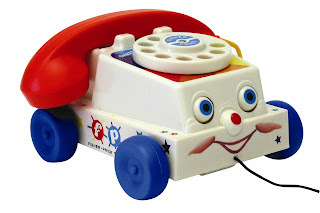 They also have the Chatter Phone (Mr B's parents still have their original in good working order), the Two-Tune TV AND a reproduction of the Fisher Price record player whose tunes I can still remember. Genius. Even if your children don't enjoy playing with them, you will! If you would like to share your tips on how to 'Simplfy Christmas' then send your posts for the Oxfam Unwrapped blog carnival to Sally at Who's The Mummy. The carnival will take place on Monday 23rd November so be sure to visit and pick up a wide range of tips for taking the stress out of Christmas. Fisher Price images courtesy of ad-hoc PR. You may remember a little while back that I told you about your slow start on the potty training adventure at what is, these days, considered early in Laras life. I've also recently blogged about how the reusable nappies are really struggling at present so today I thought I would give you an update on the potty training progress. Back in August we got this Beco Potty from Jojo Maman Bebe. I have since discovered that one potty is not enough. You need one in every room ideally! Actually, that's an overstatement. I do keep one in the bathroom and one in the nursery by the changing unit at present as we never have time to leg it from one room to another. I think in the long term I will probably move one to the downstairs toilet when things become a little more serious. Over the past month I've found that Lara's toilet habits have changed. She can quite easily go several hours and still have dry nappy but then when it does get wet, it gets seriously wet. When Lara wears a disposable you can tell easily when that has happened by the bulk of the nappy changing shape. But, when she is wearing a re-usable then the only way to tell is by touch; that usually involves me picking Lara up for a cuddle and then discovering that her trousers or tights are totally wet through, at which point I have to perform a complete change of outfit. Funnily enough, I see this as a good sign. It means that Lara is growing up. For quite some time Lara has been indicating to me that she has wet her nappy through some means or another. Only in the last few days has she really been able to communicate to me accurately when she has wet or dirtied her nappy. She will sometimes now tell me in a quiet little whimper 'poo poo' seconds before the event. She rarely tells me 'wee wee' but I'm slowly learning that she does make a distinct noise... normally a little too late to act on it though. I guess that this ability to read Lara's signs is at the heart of 'Elimination Communication' which, the purists will tell you, I should have started from day one. I've been watching Lara for months now hoping to see the signs and only now am I learning... there is no way I could have done this 16 months ago. The other significant change in Lara's behaviour over the last fortnight is the ability and willingness to dress and undress herself. She will always help me to pull her trousers or tights up and down if I ask her too and this is going to be a big help on our potty training journey. So, Lara still wears a nappy for all but a few short minutes before and after her bath when I let her run amok. She will sit contendly on the potty both before and after that bath, sometimes with a book, sometimes with a toy. And, perhaps once a week, she successfully manages to use that potty. At present, I don't think she has really grasped the connection between her wet and dirty nappies and the potty. She doesn't seem that interested if she does use the potty and seems to shrug off the congratulations. 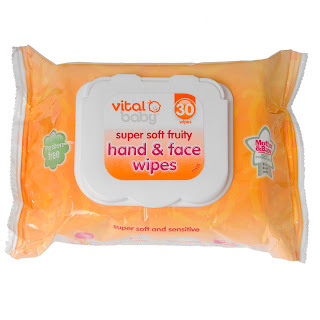 Given that I have not found a reusable that can reliably cope with the heavy wetting (and I've tried several different brands over the past few weeks, some better than others), I have been using disposable nappies far more frequently than I had ever intended. I now realise what a huge expense disposable nappies are. It is no wonder the big nappy companies want your children to stay in nappies until they are nearly 3 years old if they can get around £6 a week off you. I'm determined that Lara has to be out of nappies sooner rather than later and, from the way that her brain is developing to understand her own behaviours, I see no reason why this can't be done over the coming months. Lara is a blueberry fiend. Lara's grandparents encourage her addiction. Lara also love porridge. Porridge is something about which I am quite passionate. In fact, one of my very early blog posts was about Plum Baby's weaning porridge. Porridge is a healthy, natural, filling way to start the day and, if you mix it with milk then it can be a good way of getting your child to meet their daily recommended calcium intake. 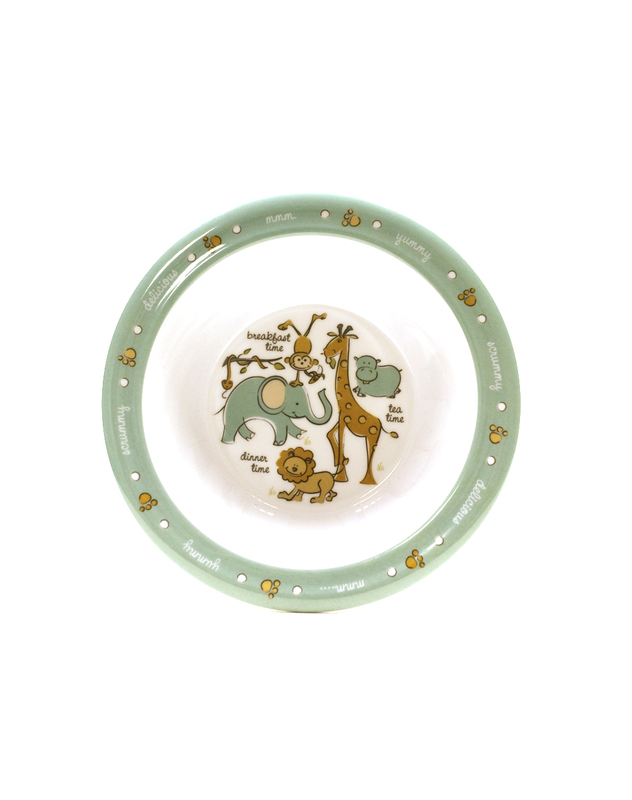 Over the past few months I have been feeding Lara Quaker Paw Ridge children's porridge. Their natural, non-flavoured porridge is a hit in our household as it is a little more adventurous in texture than Ready Brek but not quite as lumpy as plain old porridge oats. Even Mellow Mummy and Daddy eat it as it is quicker to prepare in the mornings before work than most porridges we have tried. For all of these reasons, I jumped at the chance to review the new Paw Ridge blueberry porridge. Unfortunately this didn't go well. When I opened the packet, the smell of 'blueberry flavour' nearly knocked me out (actually it doesn't taste as strong as it smells). 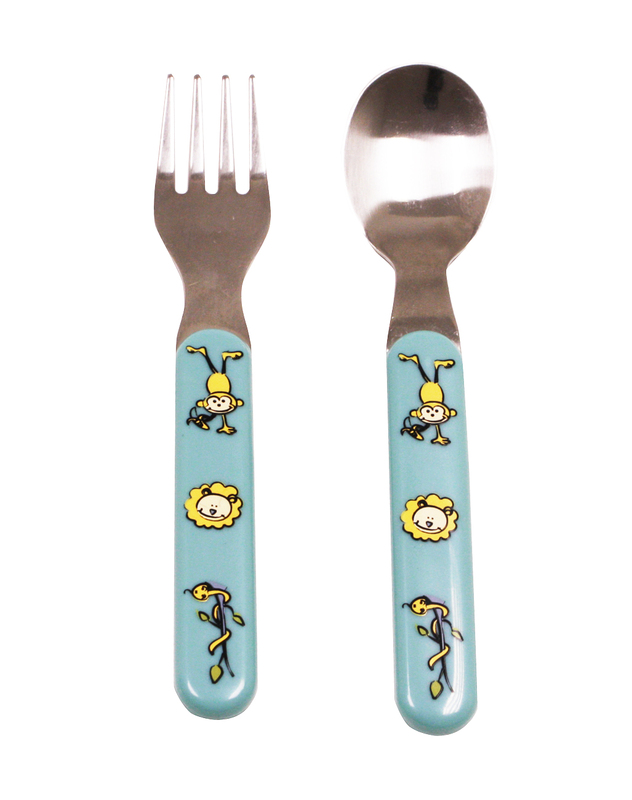 Lara wouldn't even let a single spoonful pass her lips. 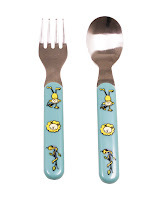 I tried on several different occasions and each time I ended up trying to eat it instead. In fact, most of it went in the bin as I didn't really enjoy it. To try and understand why Lara wouldn't eat the porridge, I took a look at the packet. As with the plain Paw Ridge porridge, the box boasts that it contains "100% Natural Ingredients". So, expecting to find that the contents of a blueberry flavoured porridge were er... porridge and blueberries, I was a little taken aback to find that (a) there was no mention of blueberries and (b) there was added sugar. Argh. Why? The Paw Ridge blueberry flavoured porridge is only 87% oats. The flavour comes from 'natural flavouring' which really could mean anything and certainly doesn't guarantee that it has ever been within touching distance of an actual blueberry. Looking closer at the nutritional information showed me that the porridge was 12.2% sugar!!! For a children's porridge, I find this unacceptable. 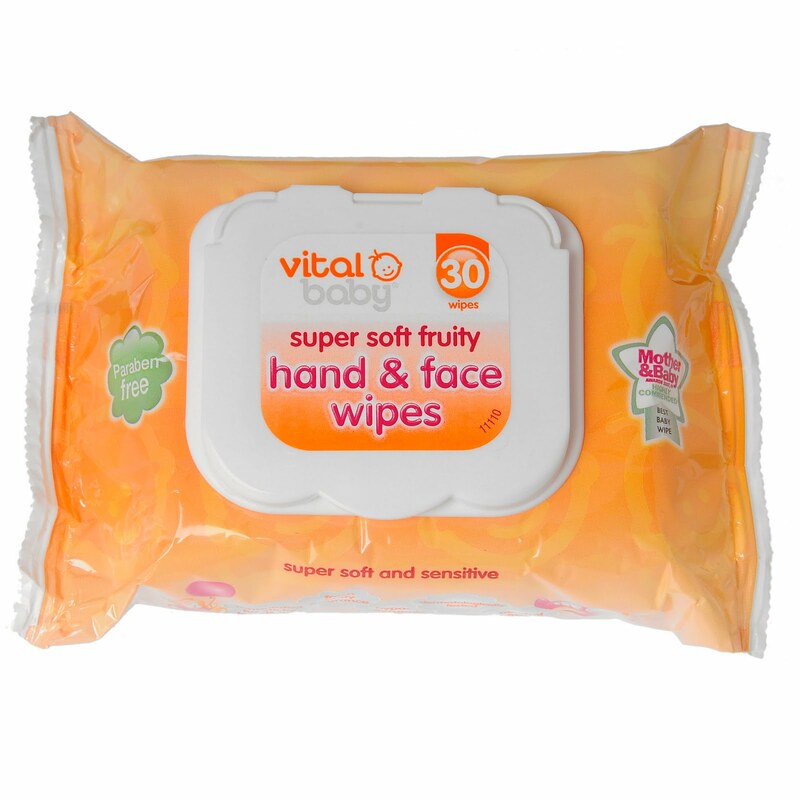 The non-flavoured equivalent contains 100% oats and has 1.1% naturally occurring sugars. I just do not understand why it is necessary to add sugar to a children's food and it annoys me. Children are perfectly capable of enjoying food without added sugar and if I feel that my child would prefer something a little sweeter - I want to be the person who makes that decision and sweeten it myself - after all, thats what I do with my own porridge. My final gripe with the blueberry Paw Ridge is that I have only managed to find it in my local supermarkets in the sachet form. I think that they only sell their flavoured versions of the porridge in sachets which works out at about 60p more expensive per 100 grammes than the box of loose plain Paw Ridge that we love. All in all, we're not that impressed. Kiddy car seats are a little different to most on the market. They take some getting used to, but once you've got your head around the way they look and the way they work, I think you'll be pleasantly surprised. 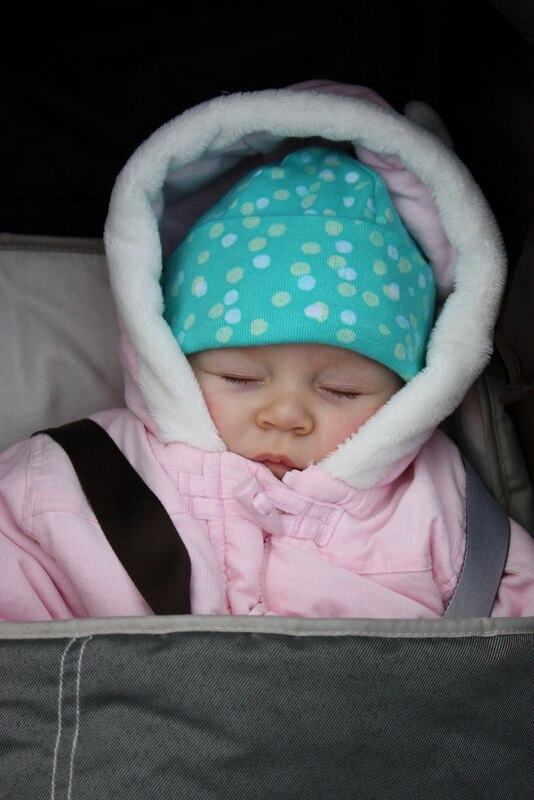 The Kiddy Energy Pro is a Group 1 car seat for use from approximately 9 months to 4 years. The fascinating thing about the Kiddy Energy Pro is that it has no harness. No straps? That's right. Kiddy car seats work through use of a cushioned 'impact shield'. You place your child into the seat, slot the impact shield in over their legs and then strap the normal 3-point seatbelt in your car over the shield to pull it tight. 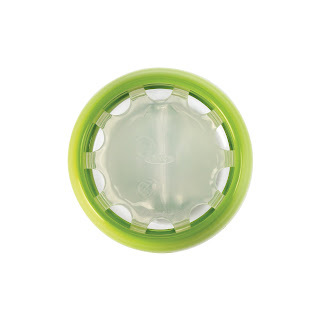 I used the Kiddy Energy Pro this summer for my 1 year old and found it refreshingly easy to fit. No faffing about with ratchets. No slotting seatbelts through impossibly small holes. With most other car seats you are encouraged to fit them once and then leave them fitted - It isn't easy to move a traditional car seat between cars. With the Kiddy car seat you effectively fit it each time you use it. It is quick and easy and means it makes a great car seat for use when you will regularly need to swap it between cars. 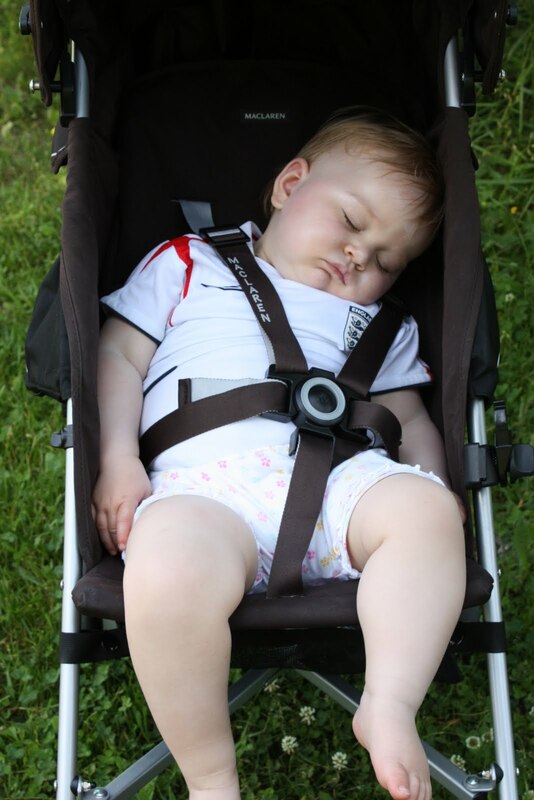 I felt the Kiddy Energy Pro seat would be great for taking on holiday as it is more-or-less universal and because it is astonishingly light. The seat and shield are made from a light, shock-absorbing honeycomb foam. I did notice that when in the Kiddy Energy Pro my daughter got very stressed and would winge a lot. She looked comfortable but her arms didn't really know what to do with themselves as they were raised up above her body and over the impact shield. To aid comfort, the car seat has a reclined position for long journeys whish is very easy to use. The movement of the head-rest to provide maximum side impact protection is also incredibly easy to adjust. I have read some concerns from parents whose children slip underneath the impact shield. This suggests that the seatbelt hasn't been pulled tight enough. I just can't see how my daughter could ever have slipped through. 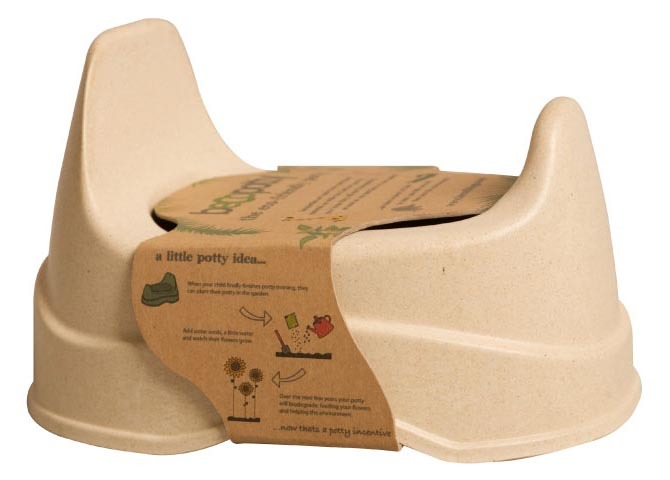 For smaller children there is a small seat insert to raise them ever so slightly towards the shield to ensure that it fits tightly, yet comfortably. The Kiddy impact shield system has been proven in stringent European tests to be even safer than the normal 5 point harness (even when fitted ISOFIX). The idea of the impact shield is that in the event of a collision, the force of the impact is distributed across a wider area of the body around the tummy. Where traditional harnesses hold the shoulders and body back during an impact, they allow the neck to loll vulnerably. The impact shield is designed to allow the upper body to tilt naturally through the spine, neck and head and to reduce the force through the neck. Despite knowing all of these reassuring things, it is a big mind shift to accept that a harness-free car seat is as safe as others. For the first week I kept looking back at my daughter to make sure she was OK! Once I had settled into the idea of the impact shield, I began to see the great qualities that the Kiddy Energy Pro has to offer. 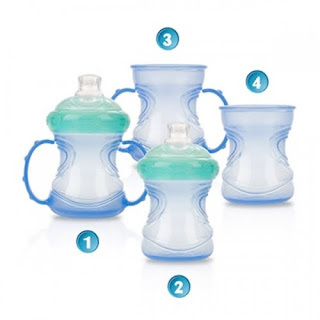 Some time ago Lara reviewed a series of toddler beakers when she first transitioned away from a bottle. We also tried out the Born Free trainer cup and the Tommee Tippee Easy Drink Cup which, given its resillience to biting teeth, has become our favourite in recent weeks. Now Lara is ready for the next move - to try and learn to drink from a real cup without pouring the contents all over the place! 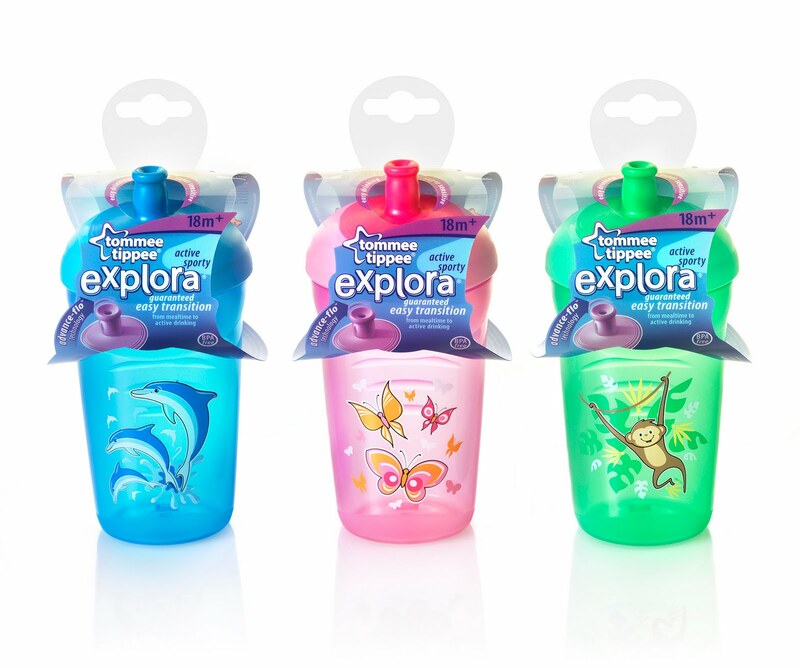 Lara has been trying out a number of different cups. We're still a long way off a full transition but we have found that there is a cup to suit every occasion. Here are the pros and cons of each of the different cups we have tried. OXO Training CupThe Good Bits: The grill at the top has (after time) taught Lara how to sip from the side of a cup. The grips on the side mean Lara holds the cup firmly. The Bad Bits: It took a long time for Lara to learn not to just tip water over herself through the holes at the top. I've tried drinking from it and my nose rubs against the grill. The Good Bits: The clever slanted shape means that it is hard (but not impossible) for Lara to throw water all over herself. This is as close as it gets to a real cup! The Bad Bits: The handles are really small. If Lara chooses to drink from the wrong side of the cup (which she does regularly) it is a recipe for disaster. 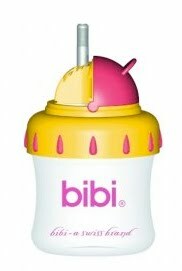 The Good Bits: The straw-like spout is firm and resistant to chomping teeth. The cup has a good capacity and is easy to undo and refill. It is one of Lara's favourites. 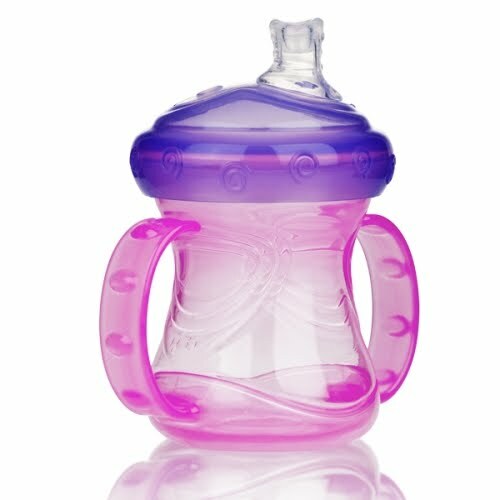 The Bad Bits: I'm still not 100% convinced that a straw-typed spout can help a child transition to a real cup. The cup has a valve that needs cleaning. The Good Bits: The straw is flexible and folds neatly under the lid (this is the only cup we tried with a lid) so I can carry it without worry in my bag. There is no doubt that using the straw has taught Lara to hold the cup more upright than she used to. The Bad Bits: The straw has to be removed for cleaning and I worry about having to buy a replacement if Lara bites through it or chews it to pieces. Nuby Convert-a-CupThe Good Bits: The cup is suitable right from the very first transition from a bottle through to the complete transition to a normal cup. 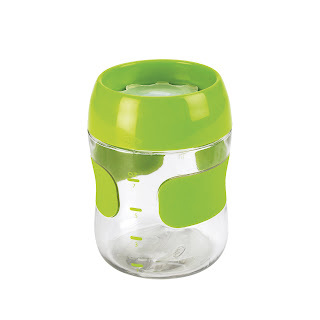 The cup is easy to assemble and clean. The Bad Bits: Lara drinks from it like an animal so the spout caves in. I think it will be a long time before she is capable of using 3rd and 4th stage as there is nothing to stop the drink being thrown everywhere. BabyBjorn First CupThe Good Bits: The wide base means it stays upright when some of the other cups would have tipped over. The shape encourages Lara to lift it up to her mouth rather than walk around with it. Once she gets the hang of this, she really will be pretty much transitioned! The Bad Bits: Lara still finds it hard to control the cup without waving it all over the place. I find I can only fill it with a tiny amount of liquid. For those of you who have been following Mellow Mummy recently, you will know that I have lost a little bit of my mellowness over the last couple of weeks while trying to find new childcare closer to the new house in time for January 2010 when I will be increasing my hours at work again. Yesterday I did finally reach closure on the issue - for the time being - and I thought I'd update you. Last week I mentioned how I had found a nursery that I really liked the look of, having given up trying to find a local childminder. I must have rung the nursery a million times over the last 2 weeks and was beginning to get fed up with their lack of action. On Monday I made a decision that if I couldn't get a straight answer from them that there would be a place for Lara (even for a few days per week) then I would have to sign up for the other nursery I had seen and didn't like so much. I really had to make a decision this week because I needed to give my existing childminders their notice and just couldn't risk the possibility that I would be left with no childcare whatsoever in the new year. On Monday I STILL didn't have any of my phonecalls returned and had given up hope. I called the other nursery to confirm that they still had a place and then started filling in the application form. On Tuesday I even wrote out the cheque but decided to give my nursery of choice one last chance. I rang twice and both times I was told that I would receive a call in return. ARRRGH. Finally, just before I left work, I got the call I wanted. 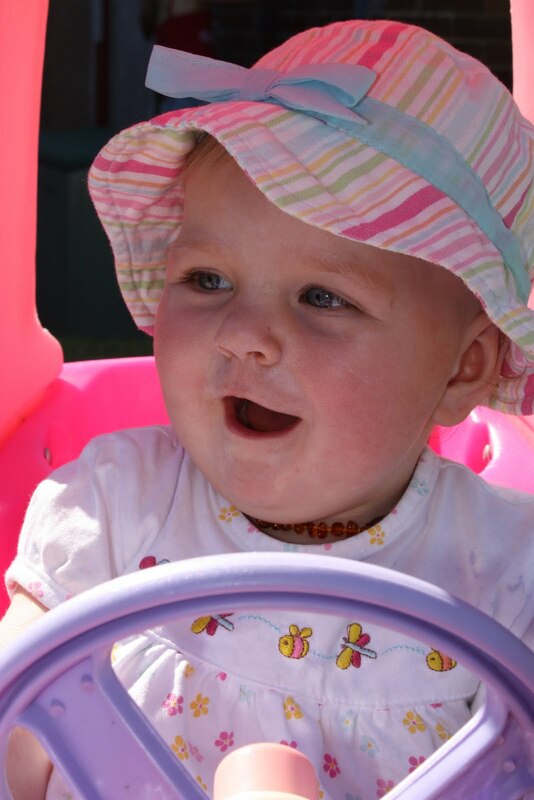 Lara has been offered a place at the nursery we really liked for the full 5 days a week. Yay! Now I had best lift out the cheque book. Autumn is here, and before you know it, winter will be knocking on our doors. This week, to mark the onset of the colder months I fitted winter tyres to my car so that I'm ready for whatever winter chooses to throw at us this time around. This photo was taken last winter in the height of the snowy spell. It shows a huge, delicate icicle formed on a shrub below our dripping gutter. It reminds me of stalacmites and stalactites in a cave. I've also composed a medley of seasonal pictures of my favourite photographic subject from the last 12 months! This post was written for this week's Gallery.